Years (and years!) ago, the choices for decking materials were rather limited and decision-wise, life was simple for consumers. The industry is flooded with material options which is certainly a great thing for homeowners. 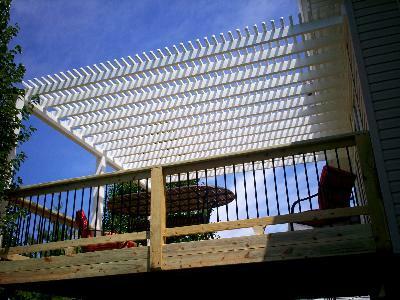 Contractors can design and build custom decks as a one-of-a-kind structure, personally unique to you. Folks are now faced with a real dilemma regarding which project materials to use. Each product — wood, tropical hardwood, composite, capstock, vinyl/PVC — offers advantages and a few ‘trade-offs’ depending on what features are important to you. And honestly there’s no single, perfect answer. So despite all the trendy choices and stiff competition in today’s market, if economy, sustainability, durability and longevity ‘are your thing’, then good-ole-reliable, pressure treated lumber might be a well-suited choice for a deck, screened porch or other outdoor space. You’ve probably heard the term ‘pressure treated wood’ — or more commonly, ‘pressure treated pine’. It’s used heavily in the outdoor construction industry and all builders rely on it. During the early 2000’s however, this product got a really ‘bad safety rap’. But the modern standard for PT lumber has evolved and is different. By now, you might be wondering, “What exactly IS pressure treated wood and how is it made?”. Well, it’s the process of applying a pressurized, protective and environmentally safe solution to preserve the wood from decay, fungi, termites and other insect damage. It’s called “ACQ’, which stands for alkaline copper quaternary. ACQ is a water-based, long-term wood preservative that doesn’t contain arsenic or any other EPA hardardous chemical; however, it does contain copper and this is the ingredient which acts as a fungicide and insecticide. The pressurized process prevents the wood from internal decay and rot but not from weathering. So to negate the effects of external wear-and tear, a sealant and/or stain can be used every year or two. 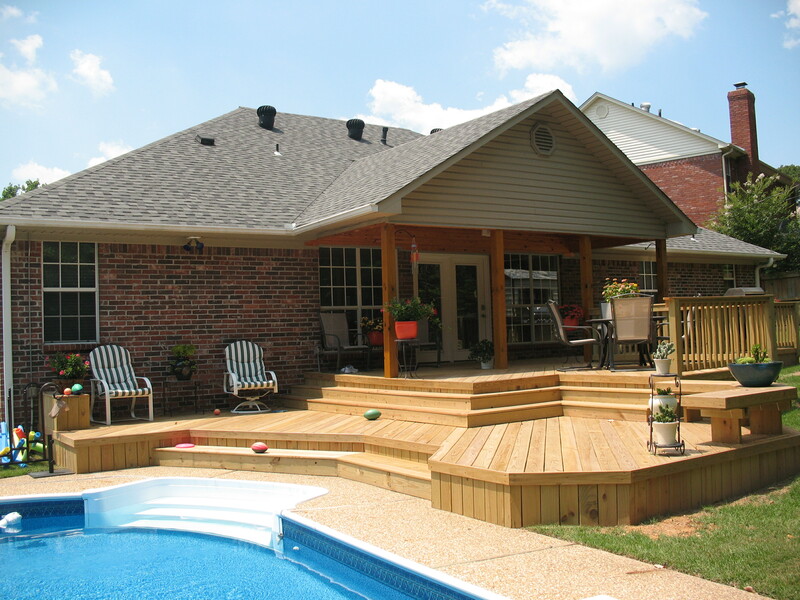 Affordable – The lower costs of building a pressure treated wood deck is the number one reason for its popularity. With the dollar-savings realized on material expenses, customers find a terrific value in having an expansive outdoor space that’s generous, size-wise. 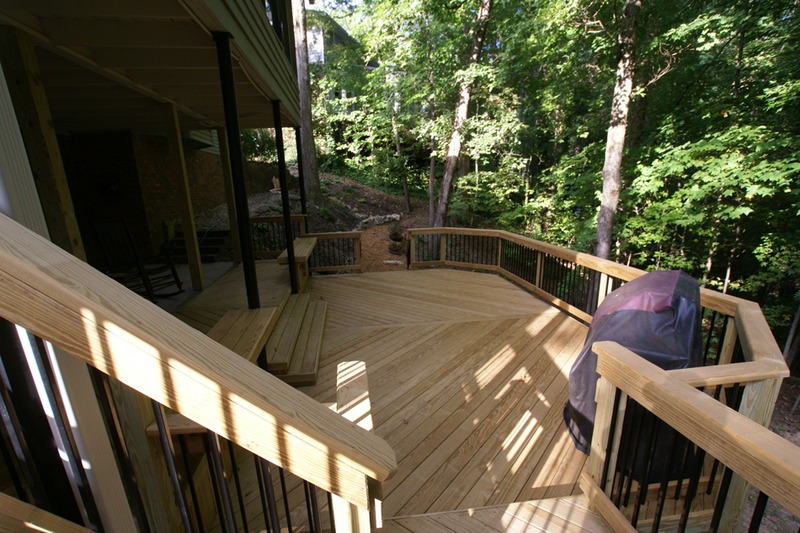 A PT wood deck also provides homeowners with a high return-on-investment. In other words, you can build a deck knowing that you’ll re-cooperate its cost. 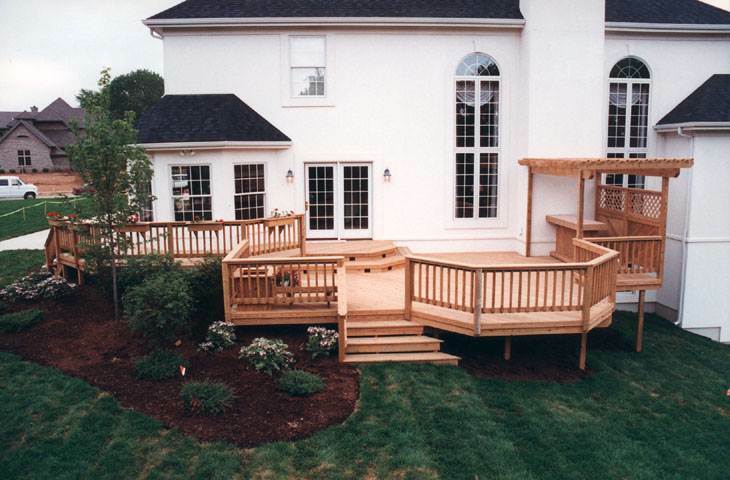 Durable – Pressure treated lumber is one of the strongest decking materials available, particularly after sealing. It’s an easy-to-use product for construction purposes, and is always used for a deck’s substructure even if other materials are used for floor surfaces and railing. Readily Available – Generally speaking, PT wood is an industry-standard and is used often because of its natural appearance. As a decking material, it provides the ‘most deck for the money’ because it’s a plentiful and easily renewable resource. If you’d like to discuss the addition of an outdoor space for your home and backyard, including material and design options, please consider Archadeck. Locally, our offices are based in St. Louis West County and we serve the entire Greater St. Louis region including St. Charles, St. Charles County in Missouri and portions of Illinois. 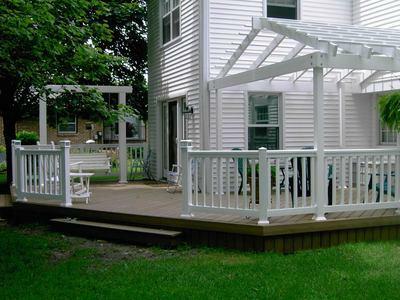 We specialize in decks, screened porches, pergolas, gazebos and other outdoor structures for homeowners throughout the area. Call us, 636.227.0800 or visit our website, west-county.archadeck.com to see pictures of our completed projects, to send us an email or to submit an online inquiry form. If you’re not familiar with the Archadeck brand, check out ‘About us’ on this blog to learn more or visit the national website at archadeck.com to find other locations.